One of the biggest worries for any foreign traveler is getting sick or injured while abroad. Explaining your condition to accommodation staff or health workers to get the attention you require can be a stressful proposition. From explaining your symptoms to understanding the diagnosis, clear communication is vital to avoid unnecessary hassle and complications, but if you don’t speak the language, what can you do? 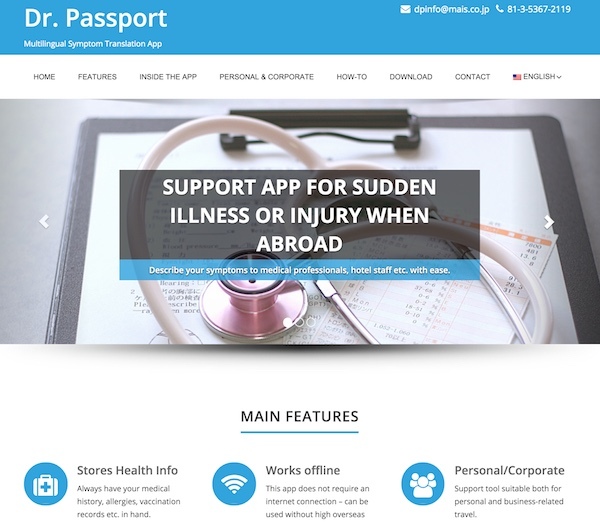 Dr. Passport® is an app for iOS and Android devices from Mais. Co. Ltd., the people behind The Expat’s Guide to Japan. 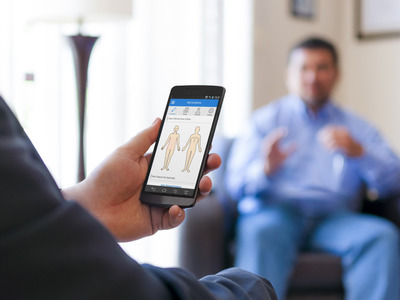 Through the app, users can record their medical information and symptoms and have them instantly translated into the target language. It also has a wide selection of phrases for both users and healthcare professionals, allowing for two-way communication. Medical history and other useful information can be saved for future use and the app can be used offline. With the Personal version of Dr. Passport, English and Japanese are enabled by default, while 8 other languages (French, German, Spanish, Portuguese, Traditional Chinese, Korean, Thai, Indonesian) can be added through in-app purchases. The Corporate version, aimed at companies and organisations, is subscription-based and can be customized with the required languages.